As is the case with all other states, Maharashtra has its distinctive cuisine and a host of tasty foods to pick from. In Maharashtra, coastal areas are famous for Malvani cuisine (fresh coconut-based hot and sour curries with fish and seafood) while the interiors have the more frugal, Vidharba cuisine which uses a lot of dry coconut. Bring a taste of this state to your table with my recipes for some delicious Maharashtrian dishes. 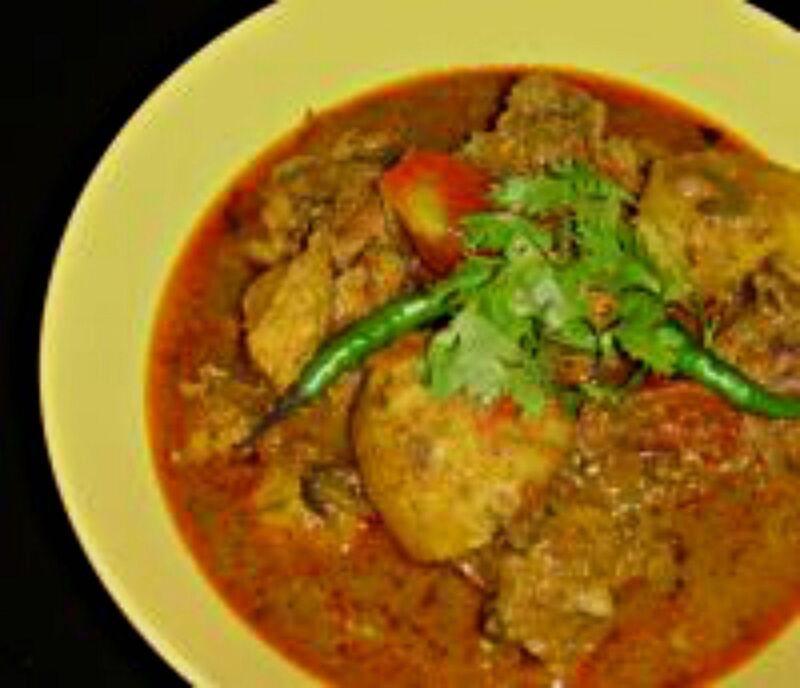 Maharashtrian Chicken Curry is made with the trademark coconut milk used in lots of Maharashtrian cooking. Serve it with rice and a green salad or a simple vegetarian side dish. Poha - Indian flattened rice stir fry, made from flattened rice, is an easy-to-cook, nutritious snack. It is often eaten for breakfast or brunch. Add extra zing to Poha by serving it with mint-coriander chutney! I love simple, earthy and tasty Aaloo Shepoo Chi Bhaaji for its sheer simplicity. It takes just 25 to 30 minutes to make from start to finish (including prep time), but the results are very satisfying indeed. This delicious Shengdaana Leshun - peanut garlic chutney is often eaten over plain boiled rice with ghee drizzled over it. Some of its primary ingredients are coconut and peanuts which are found in abundance in this state. Made with fresh raw mangoes, abundant in the summer months, Kayree (raw mango) Panha is from the state of Maharashtra in Western India. It is a sweet-sour-spicy drink!